MORE needs to be done to maintain and embrace Fiji Hindi as a part of the hybrid identity of Fijians of Indian descent. This is according to Auckland, New Zealand, resident Quishile Charan. The University of Auckland student, who has links to Fiji, was one of the participants during an academic conference in Saweni last month, which focused on the abolishment of the indentured system 100 years ago. "For me, as a person who lost their mother tongue because of the move to a Western country and the resulting racism incurred, relearning Fijian Hindi as a young adult has been vital to my cultural heritage," she said. "There is a notion of Fijian Hindi being a lesser or broken language and as a community, we need to embrace and maintain the unique language as it is a gift from our ancestors and pivotal to our hybrid identity." 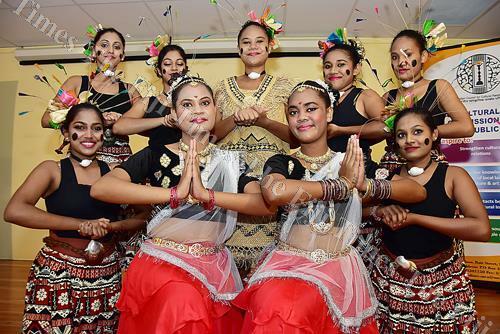 According to Ms Charan, younger Fijians of Indian descent needed to understand how the language was brought about in order to appreciate it fully. "One of the ways we can grow the passion for our language in the younger generations would be to help the next generation understand how our language was made, that it was formed in times of survival and played a key role in the formation of our current community. "Fijian Hindi is not dormant in the past, it plays a key role to our cultural identity in contemporary times and it is specific to us as a people. "To hegemonise a unique language to a dominant one would only harm us and our continual growth as Fijians of Indian descent. "Fijian Hindi is a reflection of us, of our history, of our relationship to Viti and our ancestral roots in India. Erasing that is erasing parts of ourselves." Similar sentiments were echoed by University of the South Pacific academic Professor Vijay Naidu, who said the descendants of indentured labourers who arrived in Fiji more than 100 years ago had undergone many changes. He said the most significant changes occurred in the areas of culture, language and social class. "The indentured system basically demolished the caste system," Prof Naidu said. "In Fiji, from the 1920s right through to the 1940s, there were talks of an Indian Government because there was a diverse group of people from India who had their own language and even culture and the obvious caste systems. "But over time, the Fiji-Indian identity in particular became more significant." Identity wise, Prof Naidu said the Indo-Fijian identity became more prominent during the post-indenture period. "What developed was a more distinct Fiji-Indian or Indo-Fijian identity. The origin of the word Indo-Fijian was born in the 1950s. "Being an Indian in Fiji separated you from the rest and the sense of being an Indian in Fiji became stronger when people moved overseas. "A group of Indo-Fijians attended a university in India and they were called Fijians. That was a national-based identity. "There was a loss of language especially to the more distinct ones like Tamil and Gujarati, south or north India but with a loss in language there is also a gain in language and we have now Fiji-Hindi." He also added today's Fijians of Indian descent were more likely to be fluent in an iTaukei language or dialect depending on where they lived. "Especially in areas like Vanua Levu. You have Indo-Fijians who go as far as speaking the dialect," Prof Naidu said. "Likewise for the iTaukei. In the Ba Province and in Nadroga there are those who are very fluent in the Fiji-Hindi language."